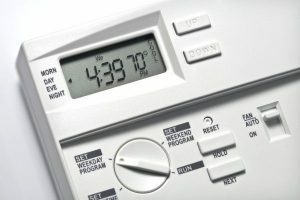 Has your heating system broken down? Don’t delay, call the experts at Combi-Nation for the most professional central heating repair in Southampton. Our team will ensure a rapid response and repairs that are prompt and efficient to get your heating restored in no time at all. At Combi-Nation, we offer a specialist Southampton central heating service that is designed to tackle any issues that you may encounter with your boiler. There is nothing worse than losing your central heating, particularly for our vulnerable customers. It is for this reason that our team are committed to providing a complete service to get your boiler back up and running as quickly as possible. If you are experiencing problems, simply call up our central heating Southampton repair company and we will pop around to take a look. Our engineers know exactly what to look for and are capable of diagnosing a whole list of issues. The majority of problems occur when a boiler is not correctly maintained. Deposits can build up which can lead to lowered efficiency, as well as the boiler breaking down. Our central heating repair in Southampton covers everything, from swapping out worn parts to replacing the entire boiler. We can also carry out power flushing to clear out any build-up of magnitude sludge. Best of all, we are available 365 days a year and offer a priority emergency callout service, meaning we are always there when you need us most. If you are looking for a reliable CORGI approved company, look no further than Combi-Nation. As the finest providers of central heating repair Southampton has seen, we pride ourselves on the standard of our services. We ensure that our team receives the very latest training as well as accreditations that allow them to perform a wide range of tasks. We are proud to have been officially endorsed by the Worcester Bosch Group and consider this as a mark of quality. Enlisting our Southampton central heating repair needn’t cost you a fortune, our prices are fair with rates that are highly competitive. If you are looking for sound advice from knowledgeable engineers, then our team can help. We can supply you with a free quote with no obligation to commit. Book your central heating repair in Southampton today. Get in contact with Combi-Nation now on 023 8077 5666 to discover more about our services.